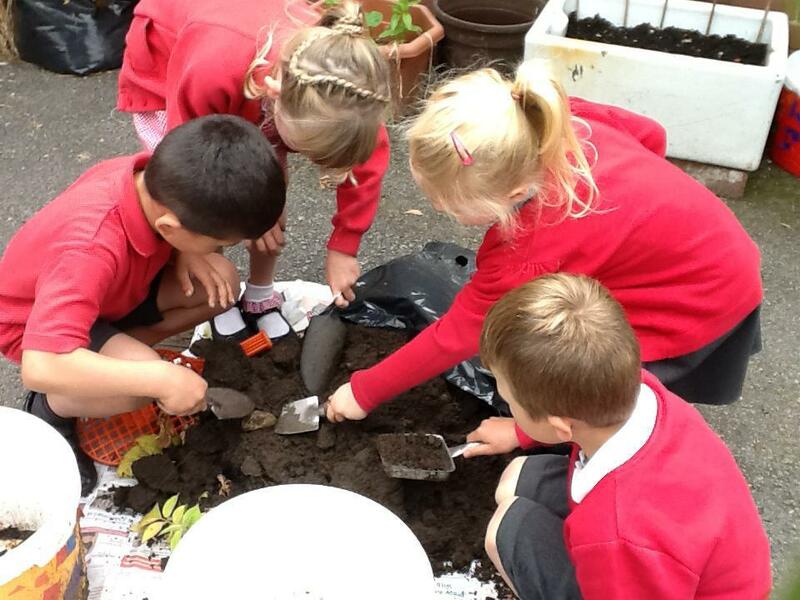 Come and look at the things we have been doing at school. Have you seen the kid's zone? Play games and visit some cool websites. You can vote for your favourites! 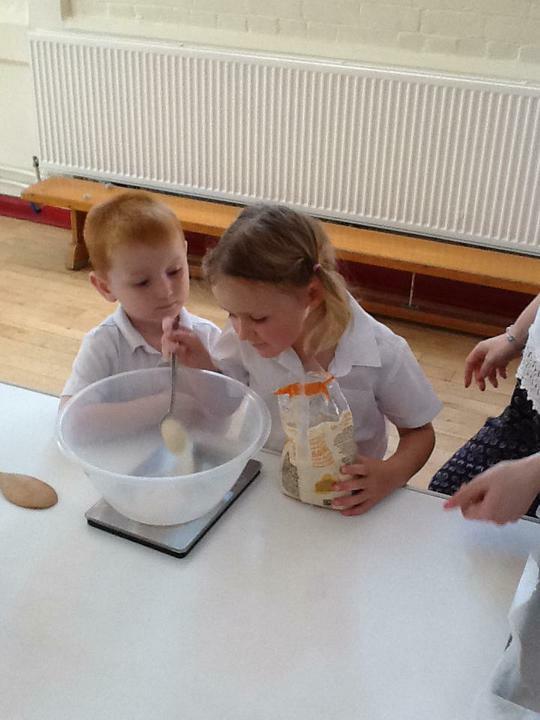 Mrs Patrick came to help us bake this week. 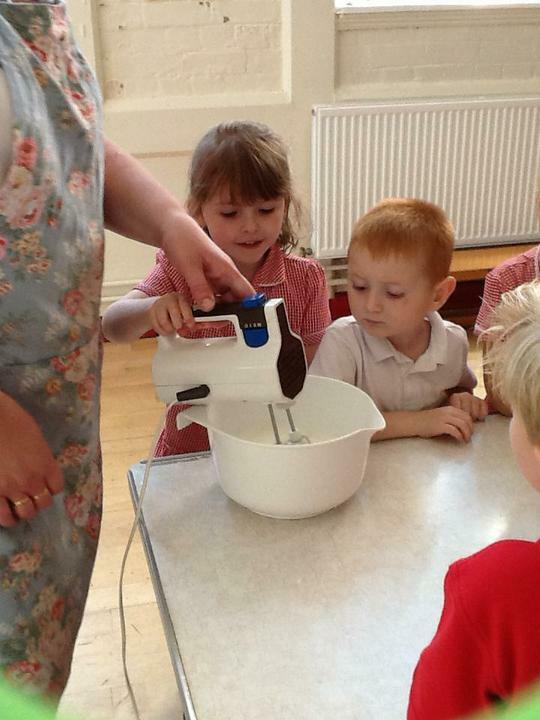 Can you remember the unusual ingredient we put in our chocolate cake? 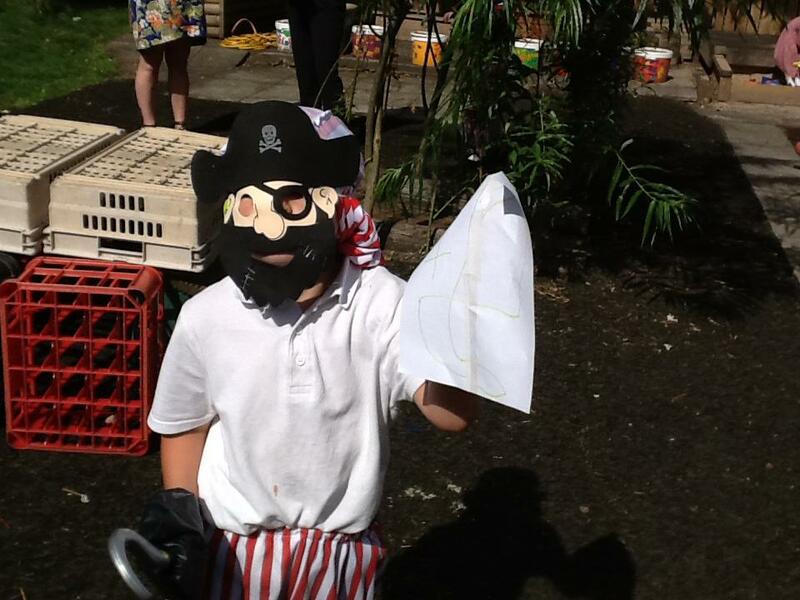 We've had great fun being pirates this week. 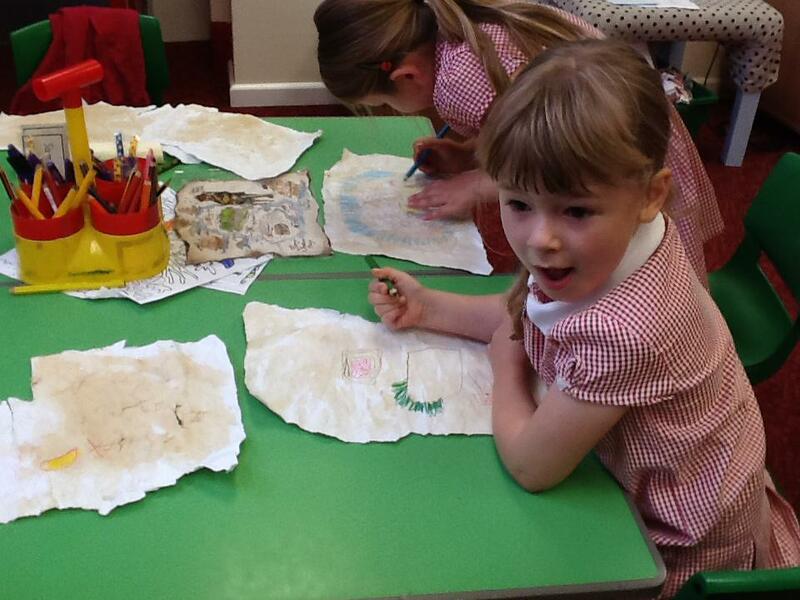 We've built boats, dressed up and made treasure maps. Can you tell someone how you made your map look so old? I bet they will be surprised! We really enjoyed sharing our work on Friday They were really proud of us and listened as we explained what we had been learning. Georgina "We use the purple polishing pen when we make our work better." 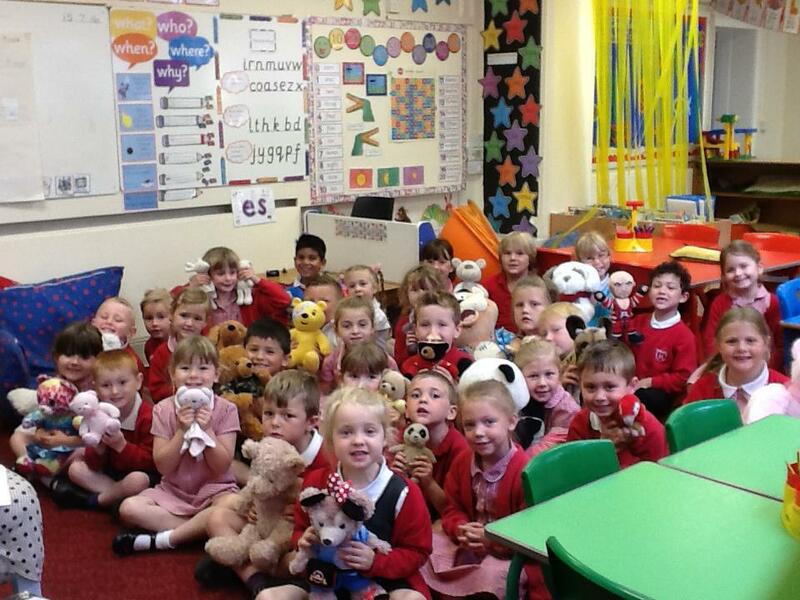 We really enjoyed bringing our special bears to school for the Teddy Bear's Picnic. They came in all shapes and sizes! 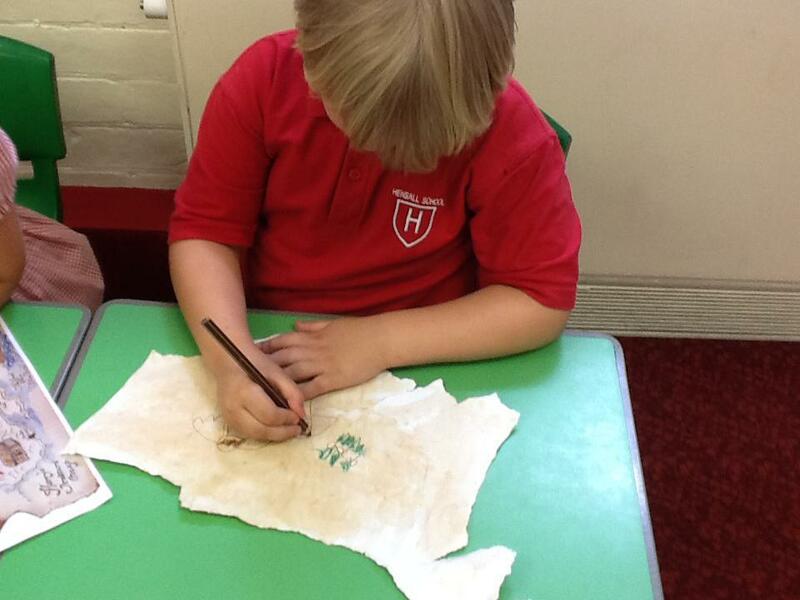 We hope you enjoyed our new Talk for Writing story 'Kassim and the Greedy Pirate'. 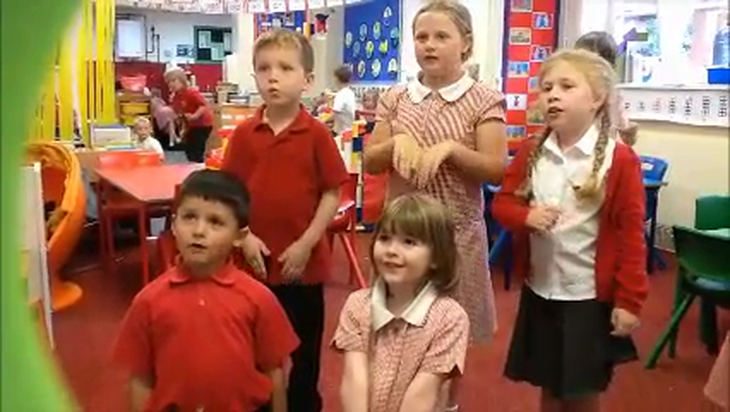 If you missed our performance at the Teddy Bear's Picnic you can watch it here. 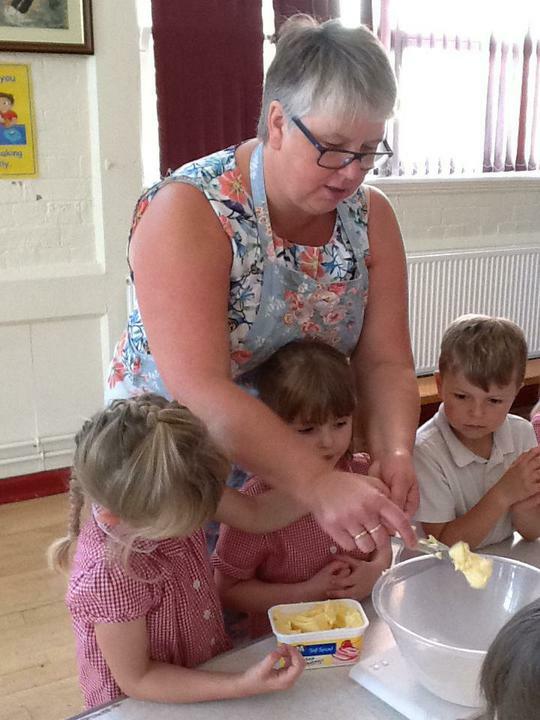 We ha rvested our potatoes this week. What do you think we could make with them? 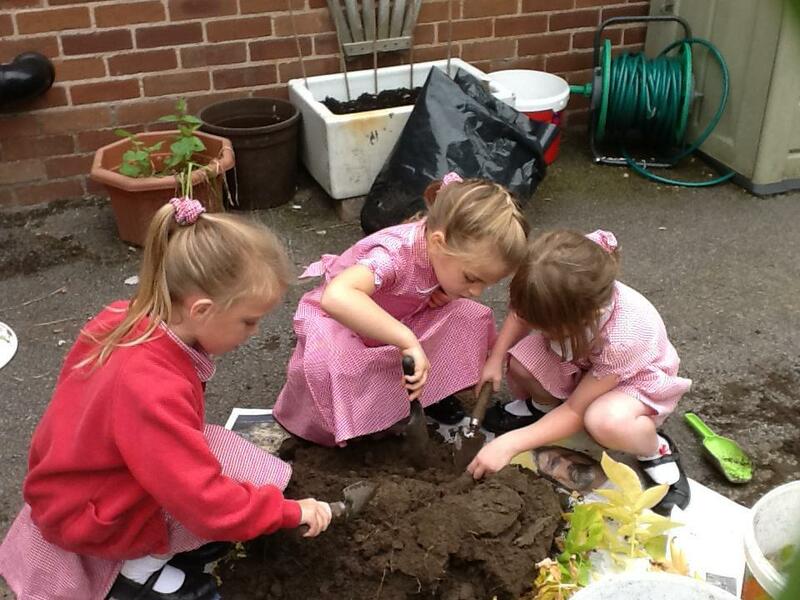 We celebrated by planting trees and bushes around the school grounds. 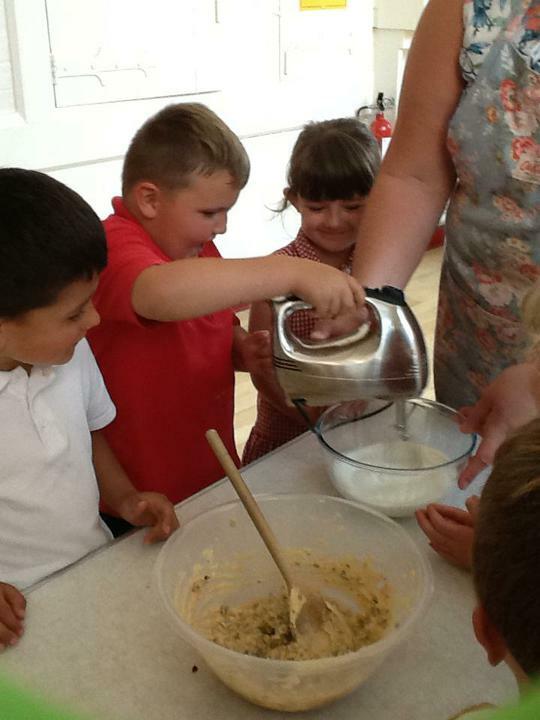 We also made crowns, designed birthday cakes and new castles for the Queen. We wore red, white and blue clothes. 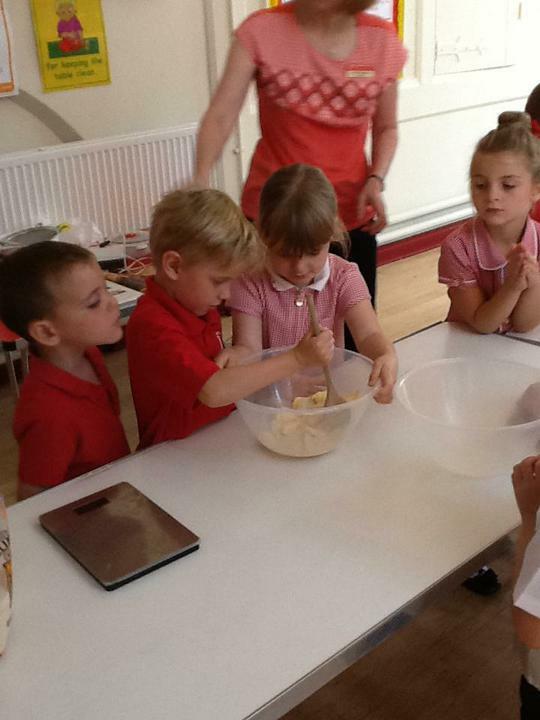 On Monday 18th April Yazi came to teach us about her Muslim culture and traditions. 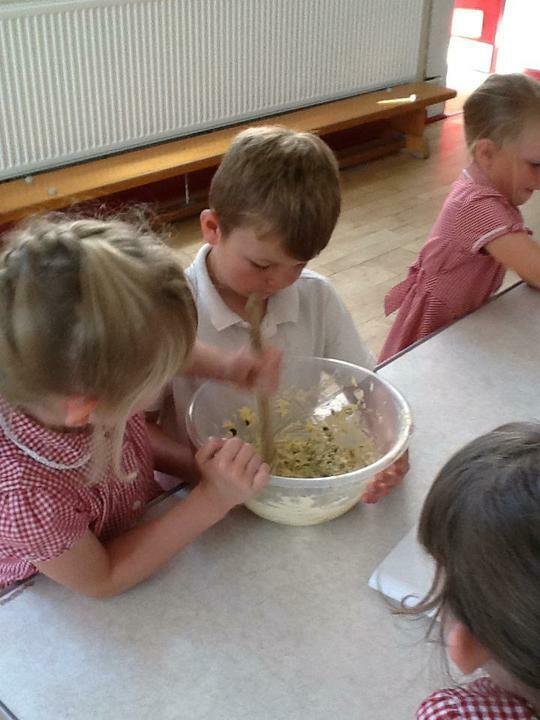 We really enjoyed dressing up in traditional clothes, making chapatis and designing Mehndi patterns. Look at the photos of us in our super costumes. Wensleydale and Rosedale were very excited when the firemen from Selby brought one of their fire engines to school. 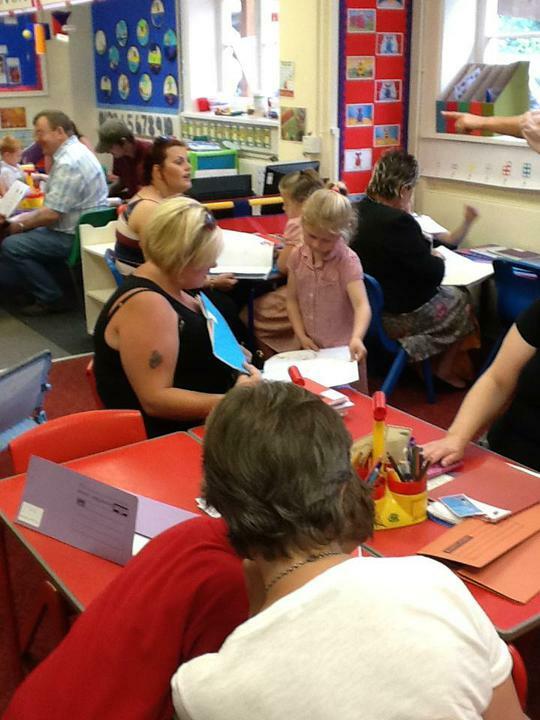 As part of their literacy the children had written questions that they wanted answering e.g. how much water can the fire engine hold.